Your Shot Winner: 'Venetian Summer' by Leigh Miller. Winner of our ‘Your Shot’ photo competition, captured in Venice, Italy. 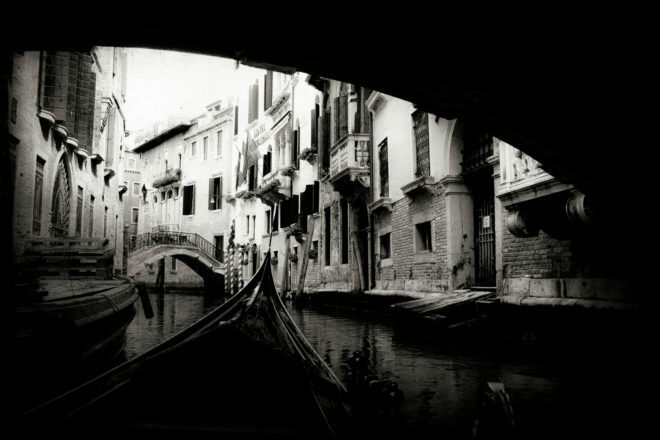 This photo was taken on the amazing waterways of Venice, mid-afternoon in the summer time. I love the romantic feel of the narrow canals as you pass old doorways and under bridges, through a city with so much history. This photo was shot on my Canon G12. I love this camera as it’s small and compact, which is great for travelling, and has the option of going fully manual. I later turned it to black and white using Lightroom. For this incredible winning image IT reader Leigh Miller has won a Tamron SP AF70-200mm f/2.8 Di LD (IF) macro lens (model number A001), valued at $1249. This wide-aperture lens features low-dispersion glass for reduced chromatic aberration, and internal focusing.